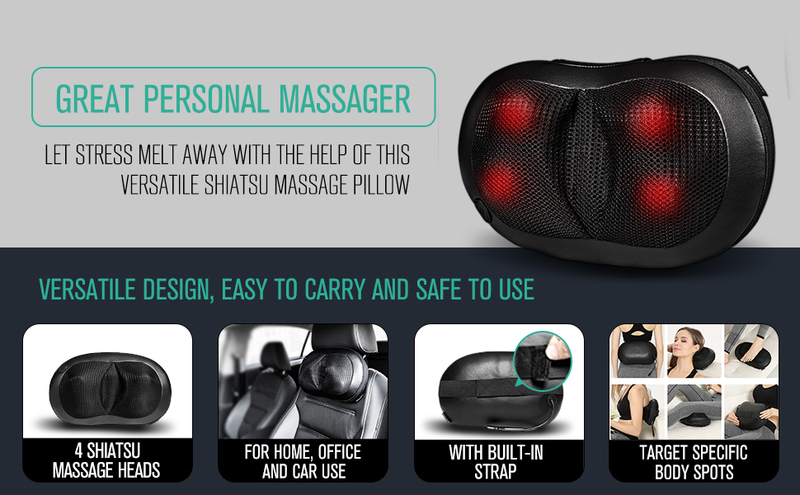 This massager is designed to deep massage and may be painful for those who are not used to it. Because of this, we recommend to put a towel in between the massager and your body for better experience of the product. Here are some FAQ’s to help you better understand how this massager works. • The massager hurts me and I feel pain while using it, what can I do? 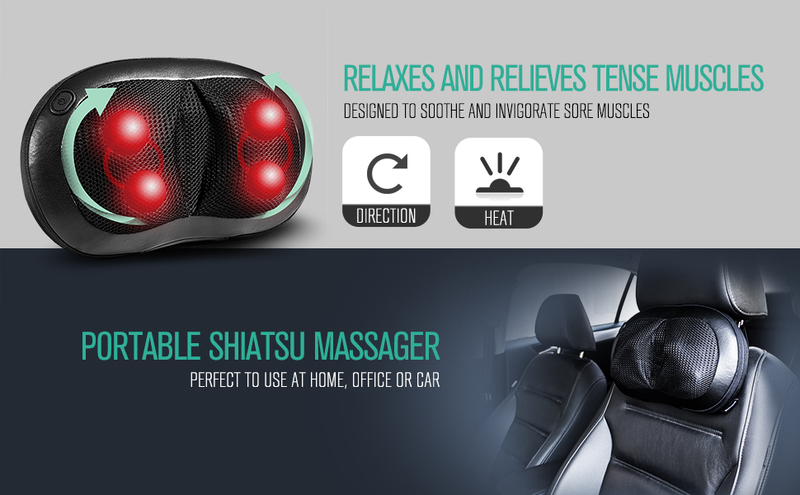 The massager it designed to deep shiatsu massage, if you feel it's too hard, try to apply less pressure on the massager. • The massager is not strong enough for me, any other recommendation? • Heat function does not work? The massager is not supposed to get too hot since the friction between the massager and skin can generate heat asl well. So, in order for your skin not to get burned, the heat is very mild. Check to see if the heat function is on. • Heat function is too hot and burn my skin.